So, I'm not enamored with this blurb. It's obviously trying to set up a very complicated story and world. However, it doesn't make enough connections between the pieces to really give the reader a sense of the whole. We have Livia, suddenly she has a partner who is distant (but we didn't know she had a partner), suddenly she's being given a new life (but we aren't told what that life is), suddenly someone survived the Nightmare (but we don't know what that is and, oh, look, she's the one who survived it). The crucial piece is the Nightmare. Without knowing what that is, we don't really understand the stakes--even if Livia does. 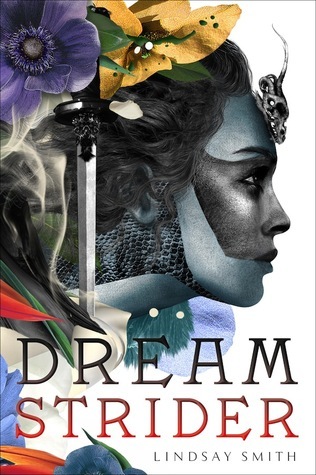 However, I'm willing to shoot this one a bone because I love dream books and I'm hoping that the book is more coherent than the blurb, which could have been written by some publishing intern for all I know. HA that would be fun actually, but it would require (1) acquiring them and (2) knowing wtf I'm doing with query letters. But seriously, WHO WRITES THE BLURBS!? Sometimes it's like they're describing a different freaking book! (Wait, there's romance? Where did I miss that!?) I'd probably have passed this one up except that I love dreams and it was hyped a lot around BEA time, so I'm willing to give it a shot. Also pretty cover. I'm a sucker for pretty covers. 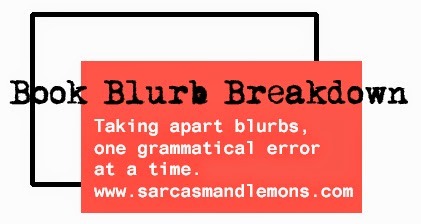 Aah... so not only do you have an incredibly fabuous blog title, you have such an awesome feature as this! I am absolutely sold. SIGN ME UP FOR YOUR BLOG. This is fantastic! By the time the synopsis is disected I feel like I actually have no idea what th book is about, but then... I think about the blurb as a whole and realise that fact doesn't really change. It doesn't give a whole lot of information, does it? And the amount of suspense which is then resolved in the blurb *alone* is almost amusing. Awwww thank you! I'm so happy people are enjoying this! Cause I totally am. :P Thanks for stopping by! Yeah, right? I have no idea still what this book is ABOUT. It's so confusing.